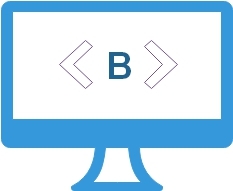 Bold tag in html is used to highlight marked portion of the text in bold. Bold tag differentiates the marked area from the rest. Bold tag have one starting <b> tag and one ending </b> tag. Here is one more example of bold text. You can see the code of the above line with bold tag inside ( the change in color of the font is because of assigned style through CSS ). We can manage how the bold tag should change by using style sheet. We can use class attribute in bold tag and manage the display properties. Keep this code inside your HEAD section of the page. Similar to bold tags are <strong>, mark and partly h1 to h6 tags. We should not use bold tag inside page title or inside description , keywords etc ( inside head part).